Pakistan and India said Wednesday they had shot down each other’s warplanes, in a dramatic escalation of the dangerous confrontation between the nuclear-armed rivals. Pakistan said it downed two Indian jets in its airspace and captured two pilots, but insisted it does not ‘want to go towards war’ with its neighbour. 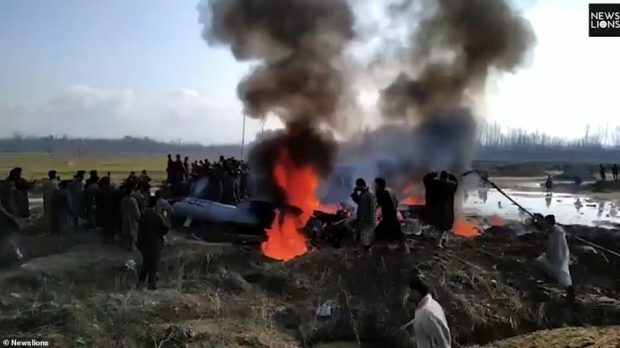 India confirmed the loss of one of its planes and said it had shot down a Pakistani fighter jet, in a conflict played out over the skies of the disputed Himalayan region of Kashmir. In a sign of the deepening crisis, Pakistan closed its airspace ‘until further notice’. At least six airports were shuttered in India, and a vast area of airspace north of New Delhi was closed to civilian flights. 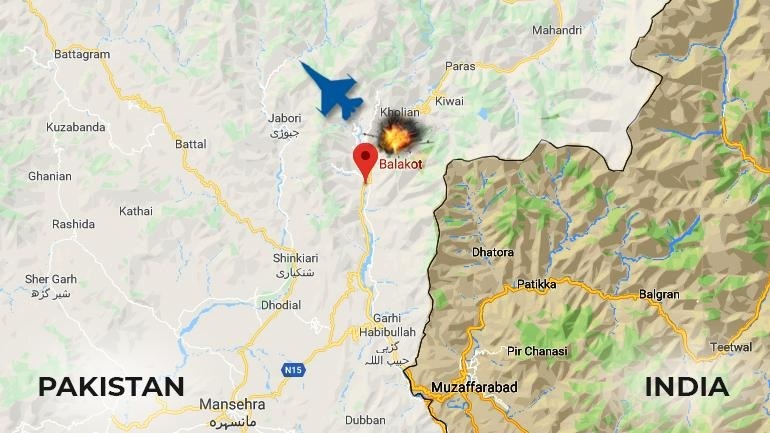 A dossier released by intelligence agencies on today’s Indian Air Force strike on terror camps in Pakistan has revealed interesting insights about the Balakot complex. The Balakot terror camp was an important training centre for the Jaish-e-M and other terror organisations and it had several structures to accommodate terrorist trainees and facilities to train them. Masood Azhar’s relatives and cadres were trained at Balakot in advanced weapons and tactics and before the inception of JeM, the camp was also used by the Hizbul Mujahideen, the sources said. 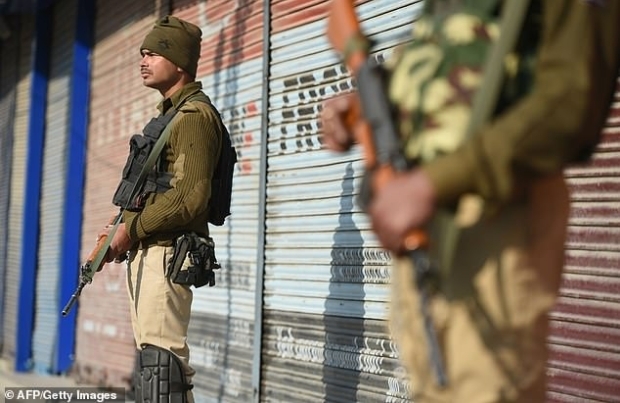 Indian warplanes dropped bombs inside Pakistan early on Tuesday, both sides said, as military tensions between the nuclear arch rivals escalated dramatically following last week’s Kashmir suicide attack. India said aircraft had destroyed a terrorist training camp where militants were training to carry out an imminent attack, in its first airstrikes against Pakistan since their 1971 war. But the Pakistani military said the aircraft had caused no damage after dropping their payload early when repulsed by defending forces. 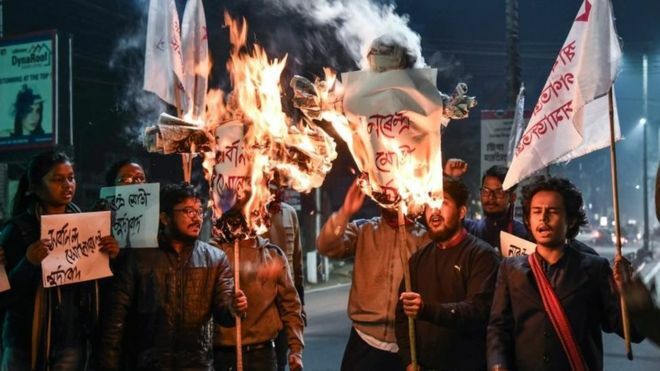 Violent protests are continuing in India’s north-eastern states over a proposed amendment to the country’s citizenship law. The protests have been particularly vocal in the state of Assam, which recently saw four million residents left off a citizens’ register. The Citizenship (Amendment) bill seeks to provide citizenship to non-Muslim migrants from Pakistan, Bangladesh and Afghanistan. Supporters of the bill defend it by saying that Muslims have been excluded as the bill offers Indian nationality only to religious minorities fleeing persecution in neighbouring countries. Maybe 2019 will be a better year than 2018, politically and economically. For many Hindus, who make up nearly 80 percent of India’s 1.3 billion strong population, the cow is a sacred animal. In Hindu mythology, the animal is depicted as accompanying several gods, like Shiva, who rides on his bull Nandi, or Krishna, the cowherd god. In ancient Hindu texts, the cow appears as “Kamdhenu” or the divine cow, which fulfils all desires. Its horns symbolize the gods, its four legs, the ancient Hindu scriptures or the “Vedas” and its udder, the four objectives of life, including material wealth, desire, righteousness and salvation. 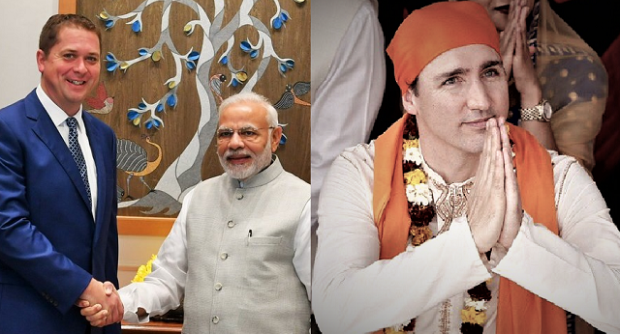 The Liberals have botched our relationship with India. 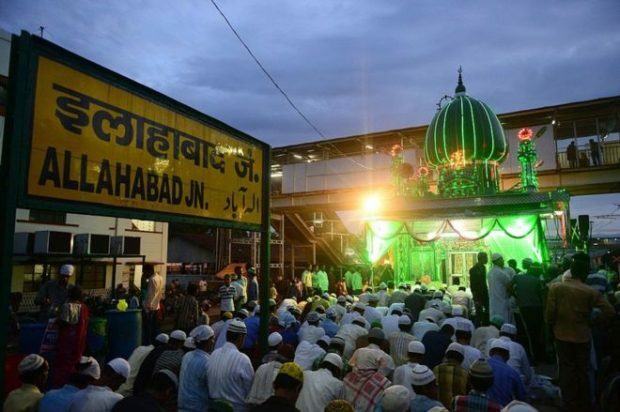 Is India waging a ‘war’ on Islamic names? What’s in a name? 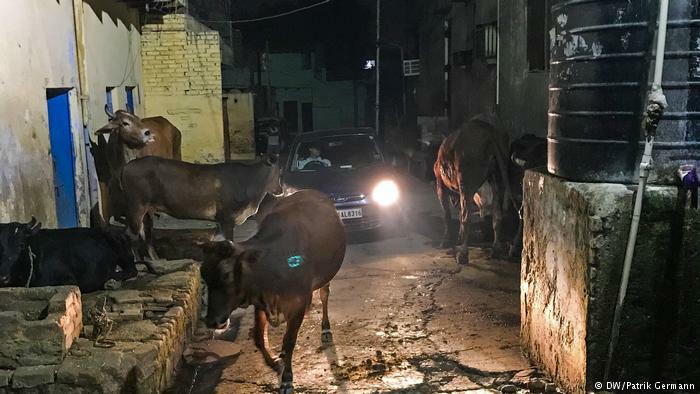 For India’s cities and villages, seemingly plenty. More than 100 of them, including the most prominent, have been renamed since Independence – Bombay to Mumbai, Calcutta to Kolkata, Madras to Chennai. Names mangled by British rulers have been corrected, and colonial names rejected. Identity pride, cultural assertion, linguistic nationalism and plain whimsy have all led to renaming in the past. And now, to appease its Hindu nationalist base, Narendra Modi’s ruling BJP appears to have embarked on a new renaming frenzy. 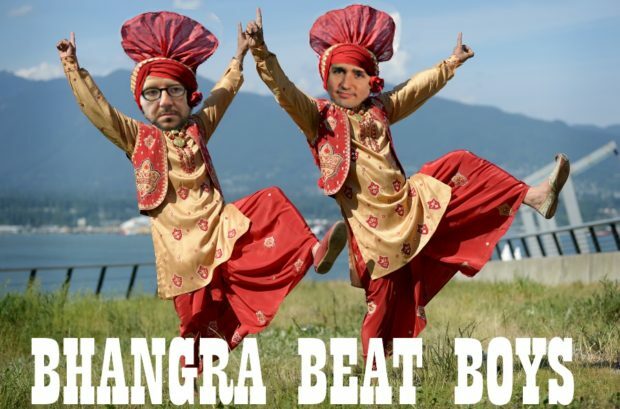 OTTAWA — Justin Trudeau’s visit to the sub-continent earlier this year has become a political punch-line, even among Liberals. “India? 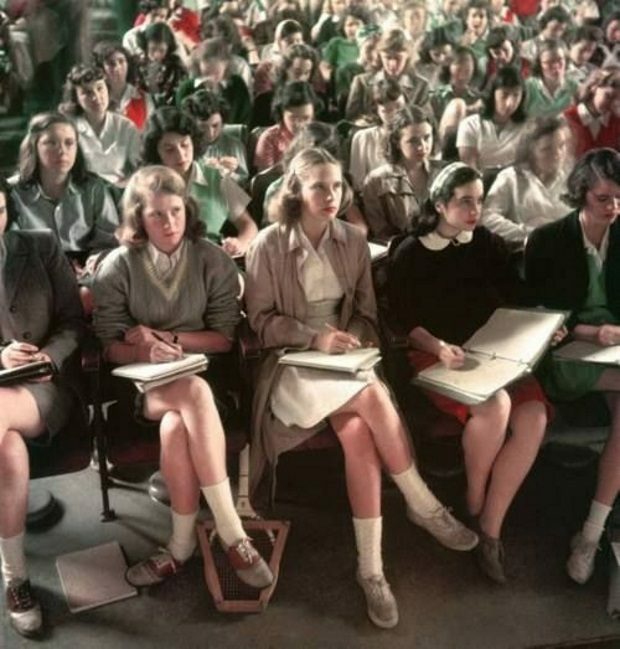 We didn’t go to India,” is the response when the subject is raised internally. 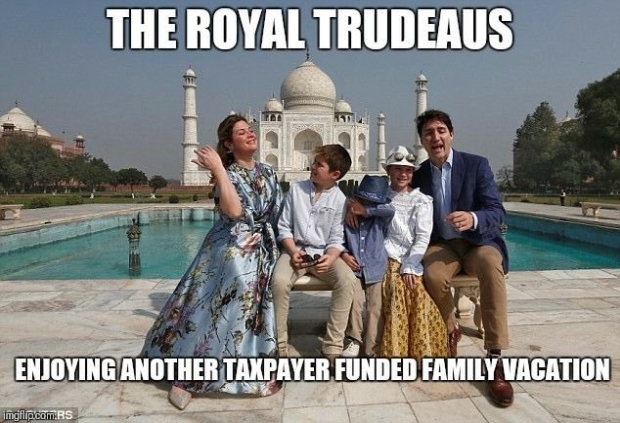 But Trudeau did — and there were substantive reasons why the visit went so badly. 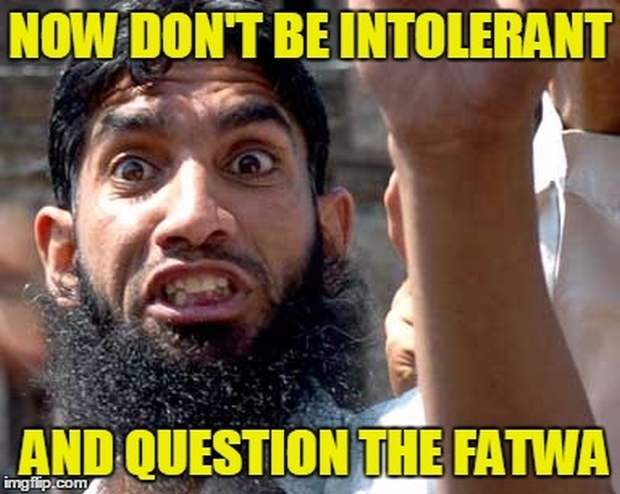 In a bizarre diktat in Jammu and Kashmir, a fatwa has been issued against the women visiting beauty parlors. According to local media, the accused named as Dinesh Kumar, beheaded the young girl with a sickle in a small village near Attur in the Salem district of Tamil Nadu. The RCMP was under pressure to keep secret the federal government’s attempts last fall to extradite two B.C. 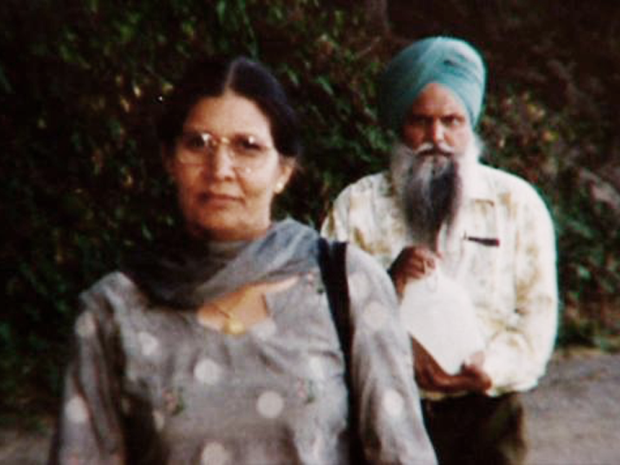 residents to India where they are suspects in an alleged honour killing, according to court records. 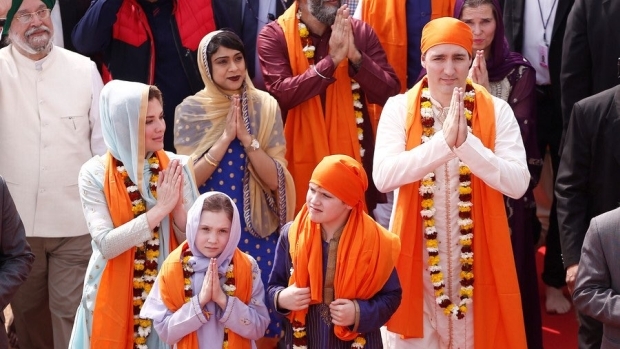 Trudeau and his wife dressed up so much that many people in India condemned their outfits, noting that most people in the country didn’t dress in Trudeau’s vision of ‘traditional’ style.